Showcasing one of the most intense diamond sparkles available, radiant cut engagement rings are the go-to choice for elegant brides with a penchant for unique looks and styles. 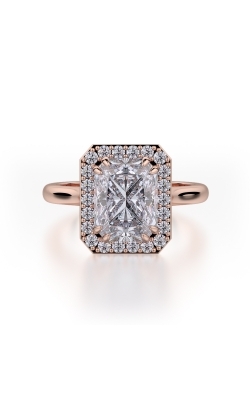 Not to be ignored, radiant cut engagement rings are specially-crafted to emit an immense level of diamond brilliance and when paired with contemporary bridal ring designers, make up some of the most beautiful diamond engagement rings today. For New York area guests, Northeastern Fine Jewelry is thrilled to present a wide array of radiant cut diamond engagement rings that are sure to impress and enchant brides of all tastes. 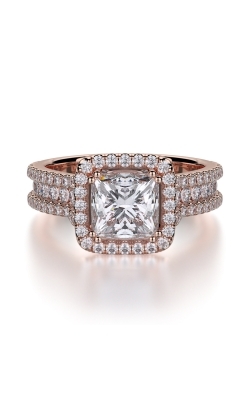 Bringing a next-level brilliance and one-of-a-kind designs, the bridal jewelry experts at Northeastern Fine Jewelry are proud to offer a fabulous assortment of radiant cut engagement rings for their beloved Capital Region customers. Available today -and every day - in the Schenectady, Albany, and Glen Falls showrooms of NEFJ is an authorized selection of radiant diamond engagement rings from Hearts on Fire, Tacori, and many other popular designers guaranteed to bring a lifetime of happiness to the wearer. As authorized retailers, individuals searching for the perfect radiant cut ring can rest assured knowing that at Northeastern Fine Jewelry they will find bridal jewelry of top-quality craftsmanship, comfort, and beauty. Featuring "the world's most perfectly cut diamond," from Hearts on Fire comes an array of truly captivating radiant cut engagement rings built for today's modern bride. Made with 18-karat white gold, yellow gold, rose gold, and platinum, radiant rings of Hearts on Fire's Deco Chic collection are expertly-crafted to showcase bold solitaire radiant stones, along with a glittering array of lovely side stones. Also available in our three New York area showrooms is an unbeatable selection of radiant engagement rings from Forevermark, ArtCarved, Simon G, Amden, Stuller, and Tacori, all of which are able to accommodate radiant cut stones of all sizes. With three convenient locations in Schenectady, Albany, and Glen Falls, Northeastern Fine Jewelry is proud to provide New York with fabulous engagement rings and wedding bands from Hearts on Fire, Simon G., Tacori, ArtCarved, as well as Swiss-quality timepieces from Breitling, Michele, IWC Schaffhausen, and many more of today's favorites. 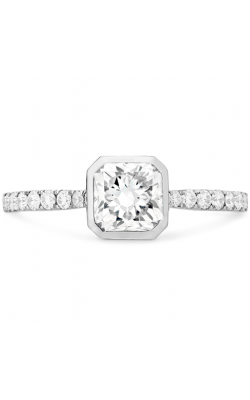 In addition to this selection, Northeastern Fine Jewelry also offers a captivating assortment of fashion jewelry items including diamond-adorned necklaces, bracelets, earrings, and fashion rings. Further, Northeastern Fine Jewelry also extends professionally done watch and jewelry repair, on-site custom jewelry design, and NEFJ's unbeatable lifetime diamond upgrade program.